SY5 is Equinix's eighth IBX data centre in Sydney and will be the company's largest in Australia with 9,225 cabinets when ready. Initially, the capacity offered will be of 1,825 cabinets, which are expected to be available in the third quarter of calendar 2019. The SY5 IBX will be located in Alexandria – just like SY1, SY2, SY3 and SY4 – taking up more than 25,000 square metres when fully built. It will be located adjacent to SY4 with direct physical access between the buildings via a secure link bridge, creating a physical campus extension between the sites. When the facility opens, Equinix will have a national footprint of 16 IBX data centres across Sydney, Melbourne, Perth, Canberra, Adelaide and Brisbane. Currently Equinix has one data centre in Adelaide (AE1), one in Brisbane (BR1), one in Canberra (CA1), three in Melbourne (ME1, ME4 and ME5), two in Perth (PE1 and PE2), and soon to be eight in Sydney (SY1, SY2, SY3, SY4, SY5, SY6, SY7 and SY8). The seven existing IBX data centres in Sydney occupy more than 19,925 square metres. And the total colocation space of the three IBX data centres in Melbourne is 8,450 square metres. The SY5 IBX will benefit from direct fibre cross connect capability between SY1, SY2, SY3 and SY4 IBX data centres. These data centres count on a number of customers including more than 155 network service providers (NSP), 265 cloud and IT service providers, more than 75 financial services companies and 55 content and digital media organisations. 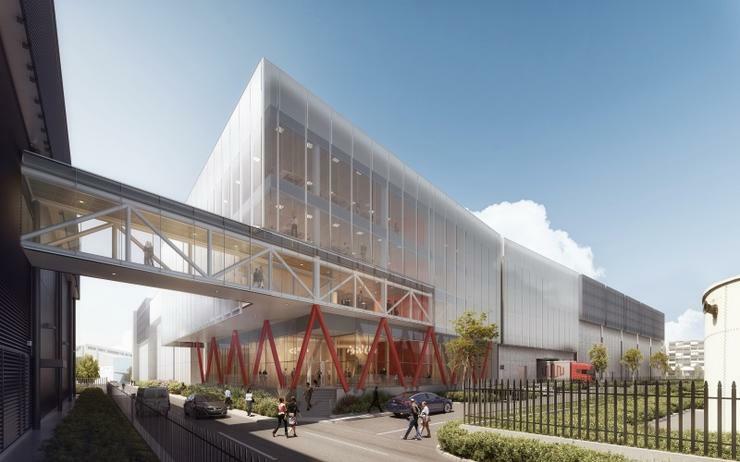 The new data centre will also connect to the SY6 IBX in Silverwater, providing customers with the ability to support geographical diversity and redundancy as needed to support full business continuity within Sydney, the company stated. Equinix has spent $800 million over the past three years to expand its Asia Pacific presence. It currently has 40 IBX data centres across 12 markets in the region. In April 2018, Equinix closed the $1 billion acquisition of Metronode, which provided Equinix with a presence in four new markets: Adelaide; Brisbane; Canberra and Perth. The interconnection provider also invested $13.3 million in the expansion of its Melbourne data centre, announced in March 2018. The expansion of the ME1 was set to add 375 new cabinets to the facility, or a total capacity of 1,500 cabinets. Most recently, Equinix announced the expansion of its Perth data centre PE2 in a $15 million investment to add 225 cabinets and an estimated colocation space of more than 550 square metres to the facility. That brought the centres total capacity to 700 cabinets and an estimated colocation space of 1,720 square metres. “We’re thrilled to continue an exciting period of growth for Equinix globally with the addition of SY5 IBX in Sydney," Equinix Australia MD Jeremy Deutsch said. "Sitting on Platform Equinix, SY5 further enables us to offer scalable digital infrastructure and on-demand interconnection both in the local market and across the Asia-Pacific region via a single platform." Platform Equinix is its digital business platform that connects its customers with an "ecosystem of people, clouds, data and things".